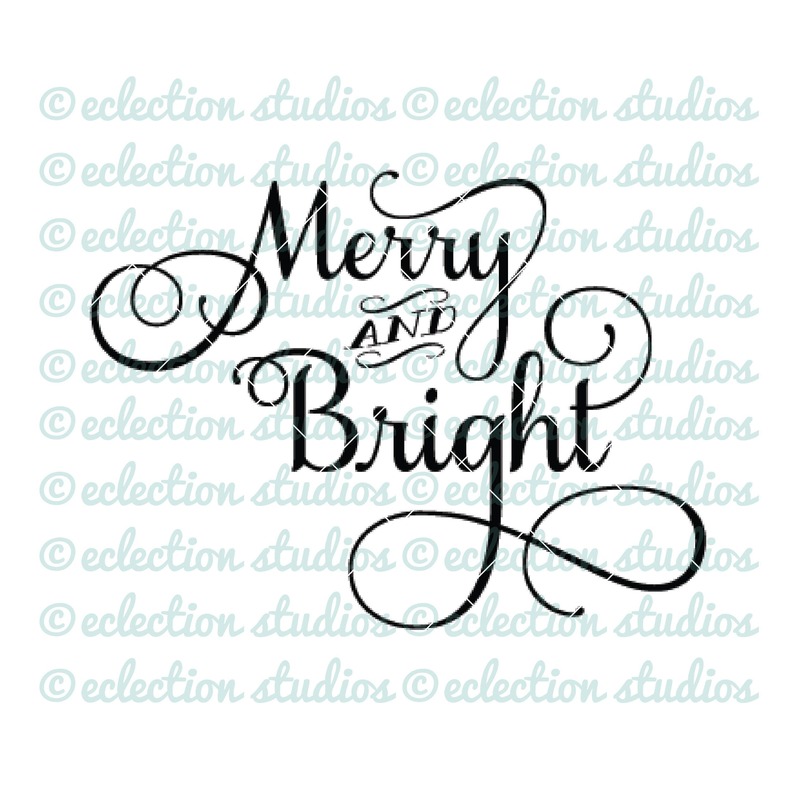 'Merry and Bright" JPEG, PNG, and SVG formats. You can use these to cut on your Silhouette Cameo or Cricut design software. This file is great for vinyl projects, decals, shirt designs, and screen printing. You can use this file in your handmade project for personal or professional profit - but you cannot use it in mass production. Please ensure that your machine takes the above format prior to purchase, as we regret that due to the nature of digital files we are unable to accept refunds.